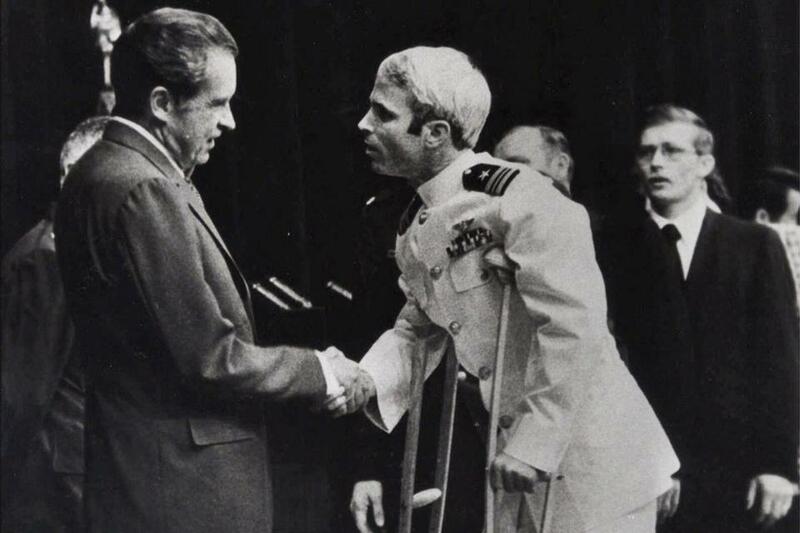 With Sen. John McCain so much in the headlines these days due to his harsh criticism of the foreign policy positions of Donald Trump, a few people suggested that I republish my article from a couple of years ago exploring McCain’s own very doubtful military record. Given the massive media coverage of rather fanciful allegations that the Russians are blackmailing Trump, perhaps similar resources should be devoted to investigating a much more plausible case of blackmail, and one that is far better documented. One factual detail, routinely emphasized by his supporters, is his repeated claim that except for signing a single written statement very early in his captivity and also answering some questions by a visiting French newsman, he had staunchly refused any hint of collaboration with his captors, despite torture, solitary confinement, endless threats and beatings, and offers of rewards. Perhaps. But that original Counterpunch article provided the link to the purported text of one of McCain’s pro-Hanoi propaganda broadcasts as summarized in a 1969 UPI wire service story, and I have confirmed its authenticity by locating the resulting article that ran in Stars & Stripes at the same time. So if crucial portions of McCain’s account of his imprisonment are seemingly revealed to be self-serving fiction, how much of the rest can we believe? If his pro-Communist propaganda broadcasts were so notable that they even reached the news pages of one of America’s leading military publications, it seems quite plausible that they were as numerous, substantial, and frequent as his critics allege.